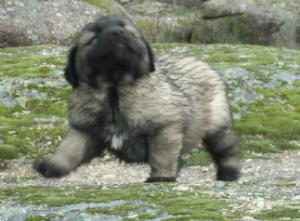 Ulyxes came over from Portugal with his brother, Thor, to join our family on 09 May 2013. We decided to import a male puppy in order to improve and increase the available breeding stock in the UK, because we had found it immensely difficult to find a suitable mate for Missy with new bloodlines, a problem which has troubled conscientious breeders in the UK for some time. He is still very young yet, but promises to be a stunning chap with a superb temperament, both of his parents being therapy dogs for the disabled in Portugal. He already has a massive fan club, which seems to grow on a daily basis!